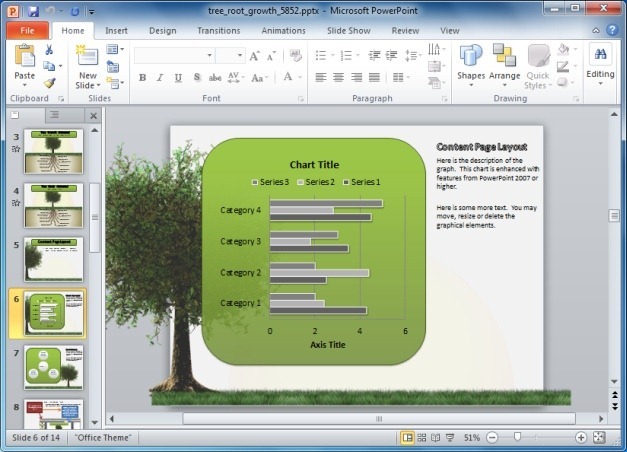 Animations and templates that depict a tree can be used in various types of presentation topics, ranging from going green to business growth or progress. 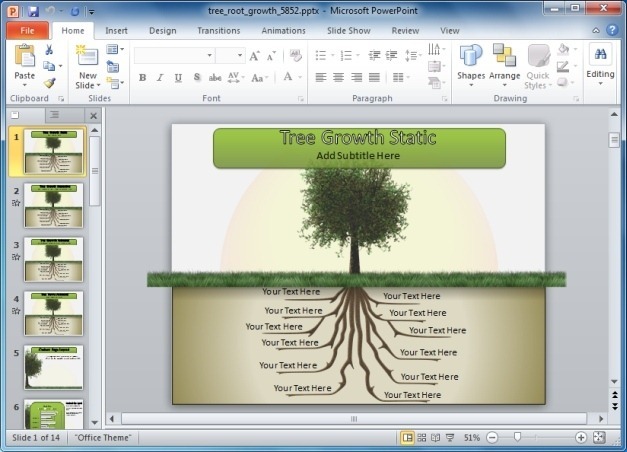 Tree Root Growth PowerPoint Template provides an animation of a growing tree, with a highly customizable layout and appropriate placeholders to help you use the animated slides to suit your presentation topic. 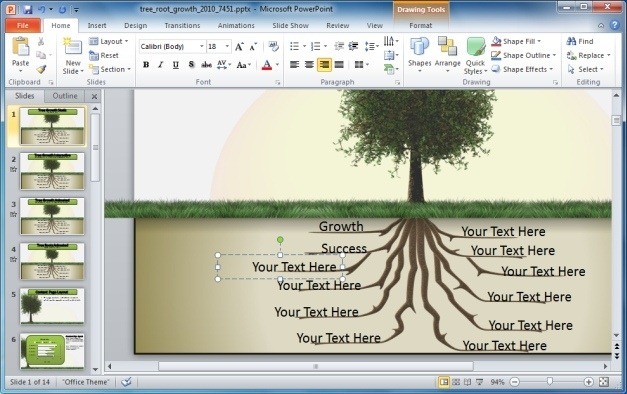 When played in PowerPoint Slide Show mode, this tree template shows a growing tree, as its roots expand deeper in the ground. 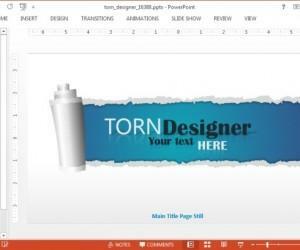 This animation can be accompanied by a custom logo, presentation title, sub-title and other content that you may wish to include in the presentation (such as clipart and images). 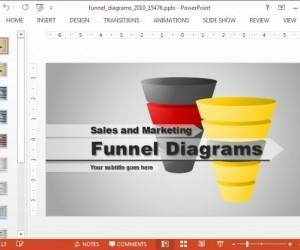 Editing the template is quite simple, just use the given placeholders to add your own content or remove certain objects by deleting them from the sample slides. 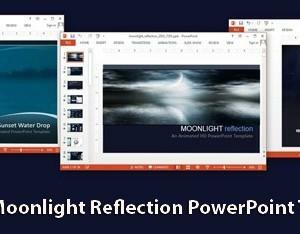 After you are done editing the template, switch the presentation to Slide Show mode to preview your changes, so that you can have a fair idea about how your slides may appear before the audience. 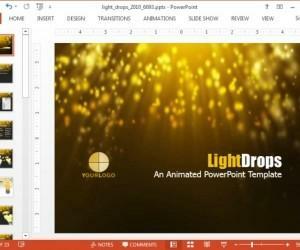 Other than animated slides, the template also offers sample slides with SmartArt Graphics and a chart, which can help you add more diversity to your presentation slides. 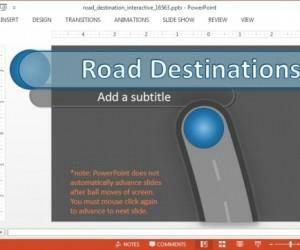 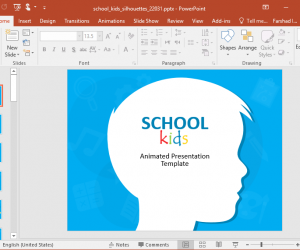 Furthermore, there are various slides with detailed instructions about editing the animations, so that you can comprehensively use them to your advantage as a presenter. 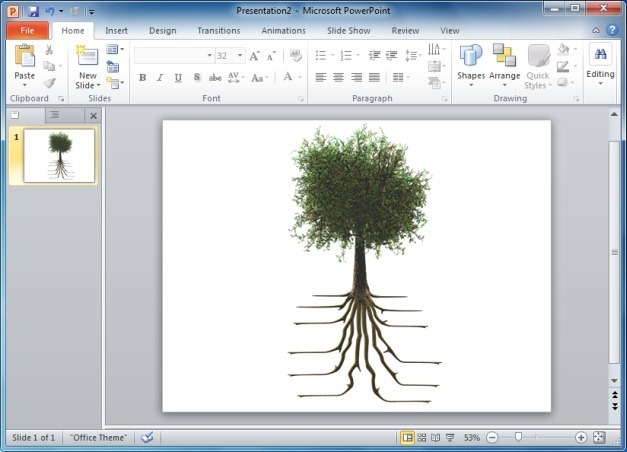 In case you are simply looking to use a clipart of a tree, you can use this clipart as a static image and add your own textboxes to present it as per your presentation topic.